The history of the Bandera can be divided into two parts: Polish and non-Polish settlers. Both wrote the rich tapestry of history with hard work, faith and grit and both still claim community-building descendants 150 years later. Thomas Odom, A.M. Milstead and P.D. 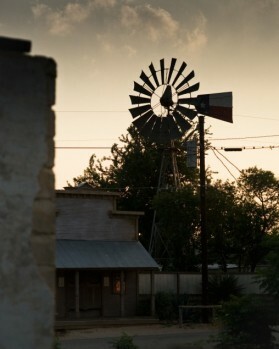 Saner brought their families to the area in the spring of 1852 and camped along the Medina River where they engaged in turning cypress trees into roofing shingles. 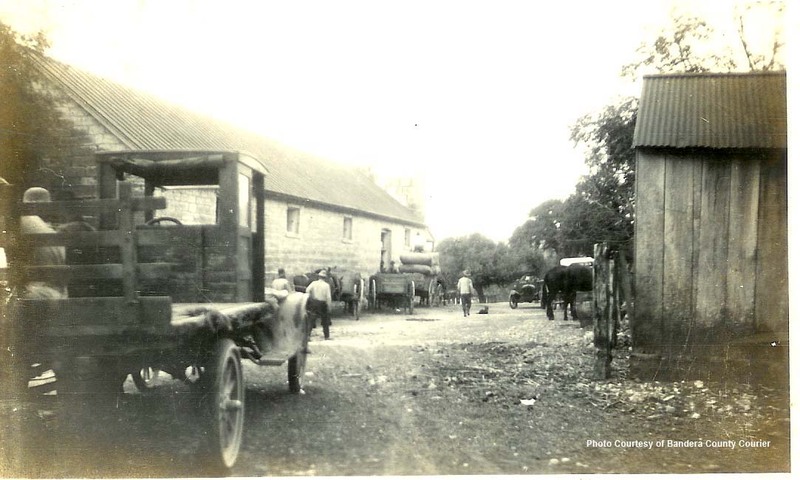 John James and Charles de Montel arrived in 1853 to acquire land and lay out a town site. 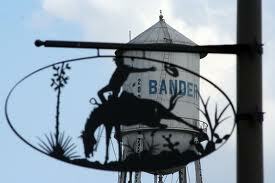 Their survey established Bandera as a town. 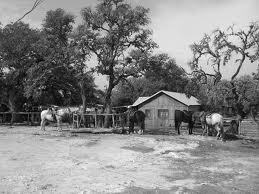 They also built a horse-powered sawmill for cypress lumber. 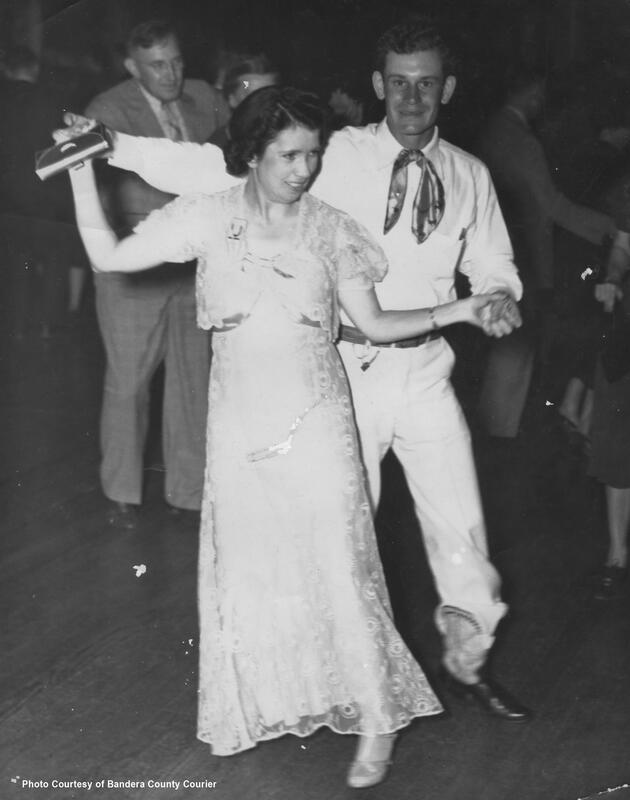 Amasa Clark is celebrated as Bandera's first permanent settler. He lived to be 101 and had a total of 19 children. He survived an attack by robbers along the road to San Antonio, a traumatic drought and an equally traumatic flood and started a successful business, "Elmdale Nursery," where hundreds of his pear trees still stand today. 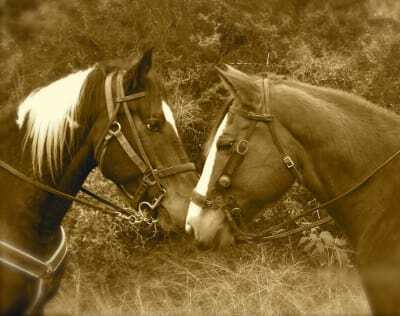 His ranch has been recognized in a Texas Family Land Heritage Program. 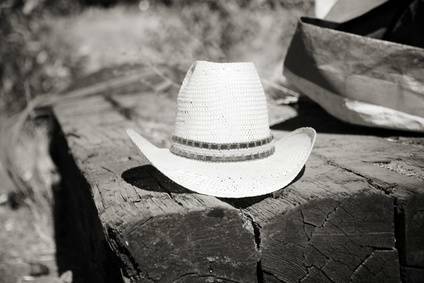 "Old Man Clark" attributed his long life to the healthy climate of Bandera County and to the healthy lifestyle-no tobacco or alcohol. 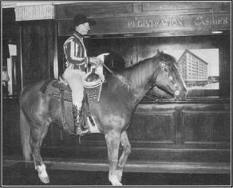 At age 101, he rode his horse to town to vote and still worked his farm. Today, Clark's great-granddaughter and husband, Barbara and Steve Skipper, are working to restore Elmdale Nursery. 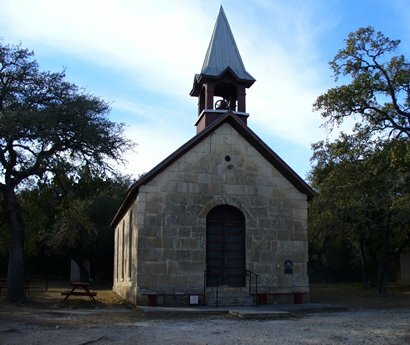 Elder Lyman Wight and a colony of approximately 250 Mormons arrived in Bandera around March 1, 1854. 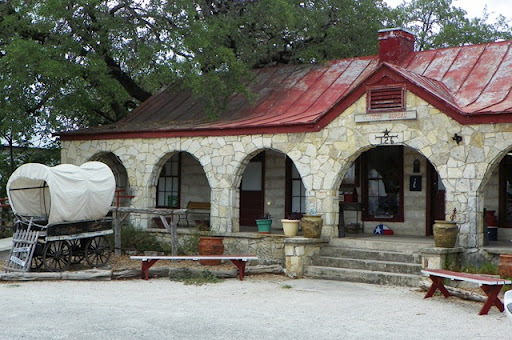 After only a few months in Bandera, the group of Latter Day Saints moved 12 miles down the Medina River and set up their camp which is now covered by Medina Lake and is still known locally as "Mormon Camp." 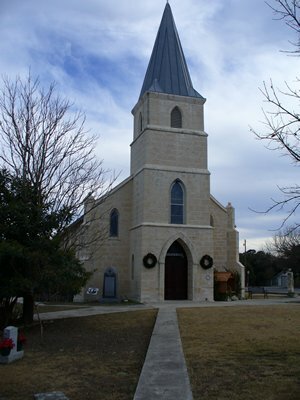 Bandera's first Polish settlers arrived in Bandera in 1855, six weeks after the first Polish church was founded in Panna Maria, and organized St. Stanislaus parish, the second oldest Polish parish in the United States-with Panna Maria holding the distinction of being the oldest. The names of these Polish settlers continue to be represented in Bandera's present history and progress: Anderwald, Kindla, Mazurek, Dugosh, Kalka, Jureczki, Adamietz. Leopold Moczgemba, who led the Polish settlers from Panna Maria to Bandera, is Medina Superintendent Randy Moczgemba's father's great-uncle. 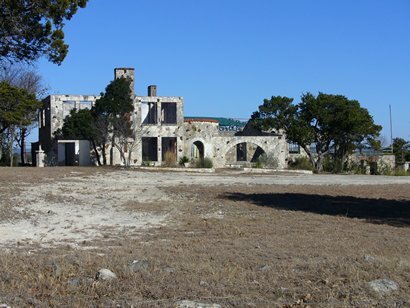 Most of the Polish settlers found employment with de Montel, James and John H. Herndon cutting cypress roofing shingles for sale in San Antonio. 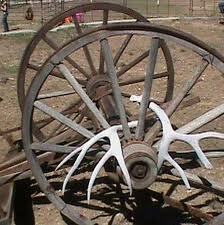 Some were skilled carpenters. 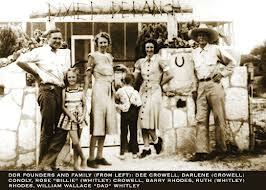 Each family was given one town lot on which to build a home along with an option to purchase farmland near Bandera. John Adamietz served as a county commissioner and deputy sheriff. Albert Adamietz held the office of county treasurer. 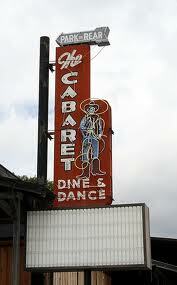 Kaspar Dugosh became Precinct 1 Justice of the Peace. 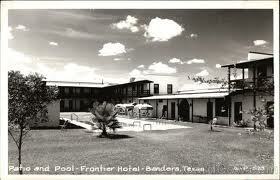 The 1956 petition to separate Bandera from Bexar County was signed by John Pyka, Joseph Knappik and Albert Haiduk. Haiduk survived an attack by Indians. Haiduk's wife-fearful that a light would attract another attack-cut the arrow out in the dark. Theodore Kindla, a 25-year-old shepherd, was killed by indians in the summer of 1862. 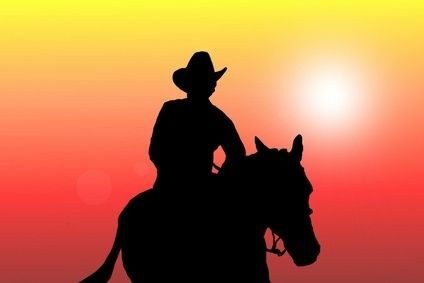 Hendrick Arnold, a free black man, was given a vast tract of land for his faithful service in the young Republic of Texas. He was commended for his bravery and fighting ability in the siege and capture of San Antonio in 1835, then fought in the battle of San Jacinto which won the independence of Texas. 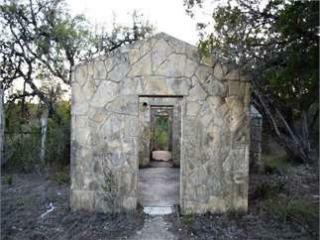 Bandera's black cemetery is named the Hendrick Arnold-Bertha Tryon Cemetery in his honor. 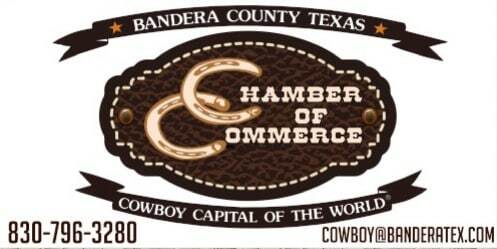 Given that Bandera's early history was carved-literally-from cypress wood, why has Bandera become known as "the Cowboy Capital of the World?" 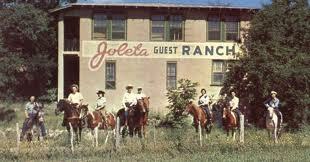 Some claim the large number of dude ranches in the area corralled the name. Some claim it is because Bandera has the largest per capita number of world champion cowboys, as evidenced by the monument on the courthouse lawn designed by the late artist Norma Jean Anderwald. 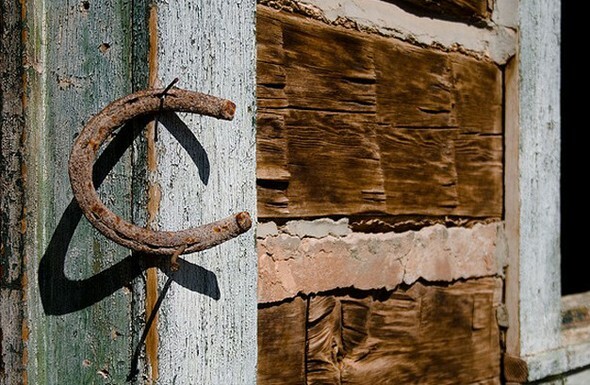 Others point to Bandera's Great Western Trail Heritage Park and the marker commemorating Bandera's role as a starting point for cattle drives from Bandera to Dodge City, Kansas. 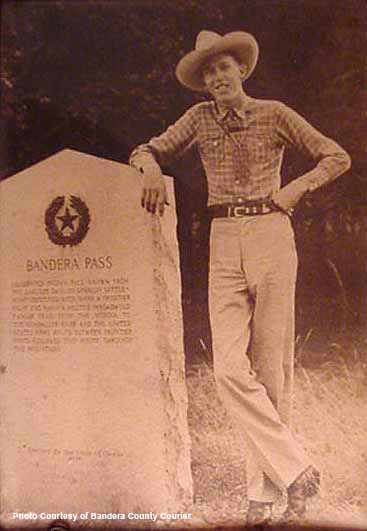 With the establishment of Camp Verde in 1856 as a fort, Bandera Pass became a popular route to the north, somewhat protected from Indian attack by the U.S. Calvary. The name "Bandera"-banner or flag in Spanish-is thought by some historians to have sprung from a flag flown at Bandera Pass to mark Indian territory (The Apache Indians kept their side of the treaty). 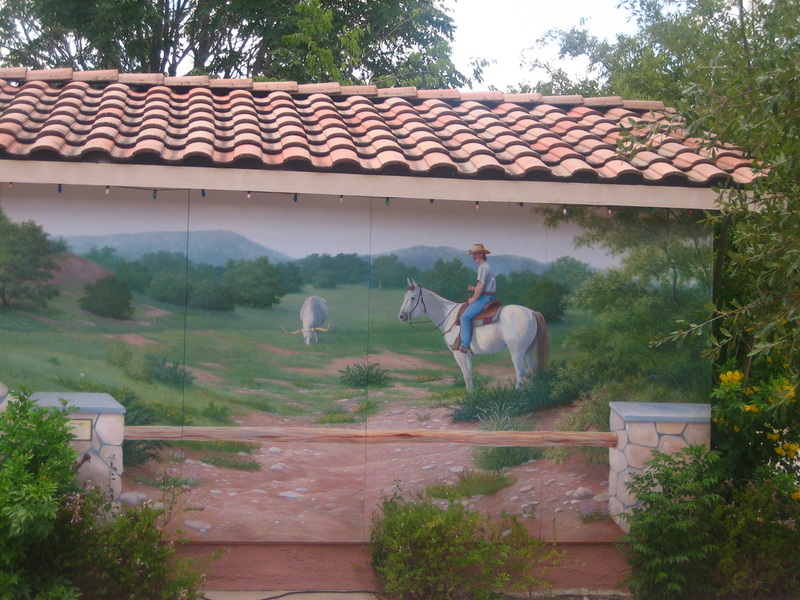 Camp Verde gained acclaim as the location of a disappointing and unsuccessful experiment with camels, an idea pushed by then Secretary of War Jefferson Davis. 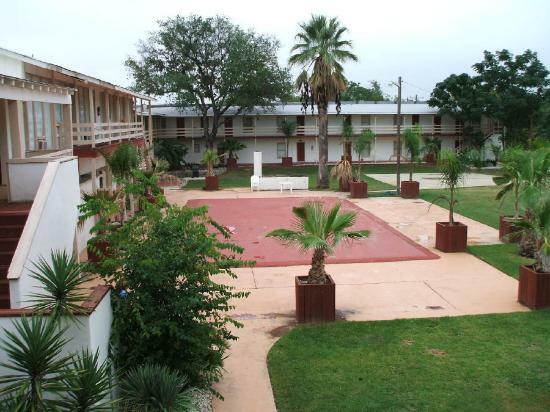 The first and last brigade of 25 of the more than 70 camels from Camp Verde made a trek to Fort Yuma, Ariz. in 1857. The camels proved hard to herd and their feet were not designed to negotiate the hard rocky surface of the Texas Hill County. Amasa Clark was one of the camel herders at Camp Verde and made two pillows from camel hair off camels he sheared himself. 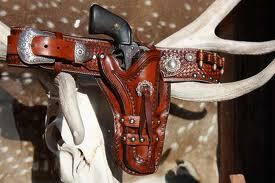 He gave one to J. Marvin Hunter for the Frontier Times Museum and kept one for his burial. By the time colonists arrived in the U.S., Native Americans were already slow cooking meat including whole lizards and alligators-over slow burning fires. 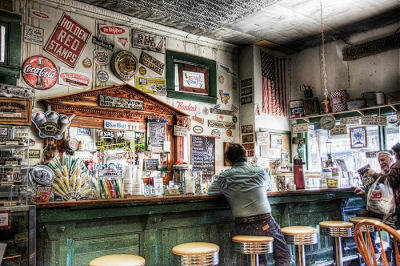 By the early 1700s, barbecuing parties had become a popular social event. President George Washington threw a barbecue in 1773. President Abraham Lincoln's parents served barbecued sheep at their wedding dinner. In Bandera, volunteer organizations have depended on annual barbecues to raise funds for years and have never been disappointed. 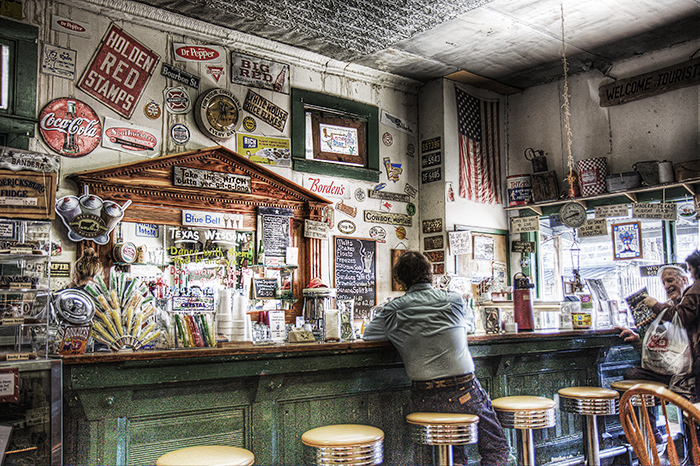 To serve customers in the dearth of events, restaurants specializing in barbecue have galloped into town and saddled up along Main Street. 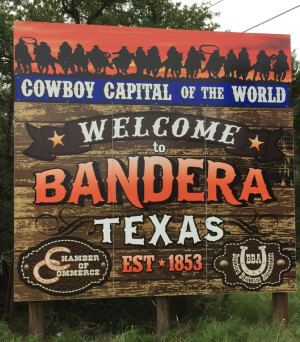 Other unique facts about Bandera: the first airplane landed in the Medina River Loop in 1921, narrowly missing a telephone line; the first regular preacher was "Fighting Andrew Jackson Potter" who brought both Bible and gun to services as he traveled the circuit; bear, wolves, mountain lions and wildcats used to be as plentiful as deer are today; treasures at the Frontier Times Museum include a mounted Gila monster, a two-headed kid goat, an eight-legged pig, and a shrunken human head that was stolen, then returned; Bandera's first newspaper was the Bandera Bugle, established in 1880; Frank Buckelew was captured by the Indians when he was 14 and spent nearly a year with them; scout, Indian fighter and preacher Policarpo Rodriguez built Polly's Chapel; it is possible that after the assassination of President Lincoln, John Wilkes Booth escaped from a burning barn in Virginia where he was hiding and made his way to Bandera where he taught at the Bandera Institute under the name of W.J. Ryan. 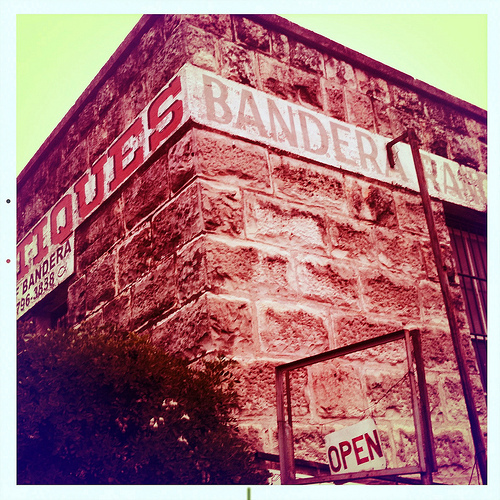 Bandera's past is a richly colored historical tapestry whose threads weave into the present to draw hearts home. 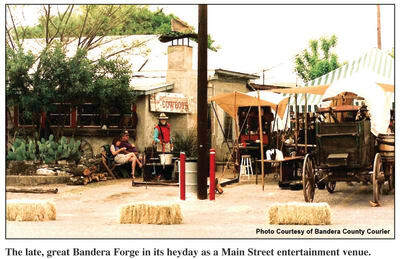 As newspaper founder, author, historian and Frontier Times Museum Founder J. Marvin Hunter wrote in One Hundred Years in Bandera, "You will come back" are the words that greet the departing stranger who visits Bandera land."